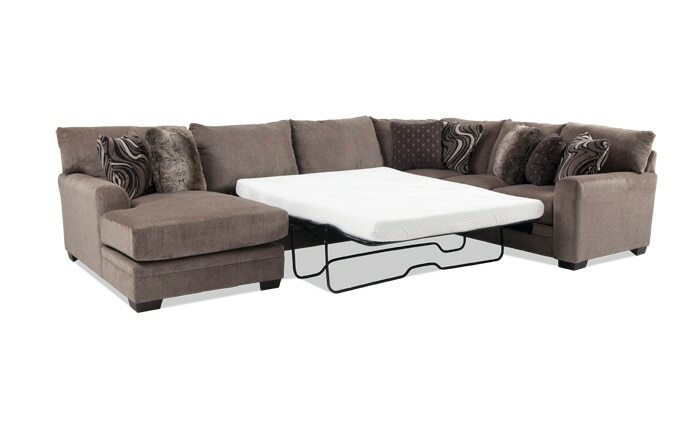 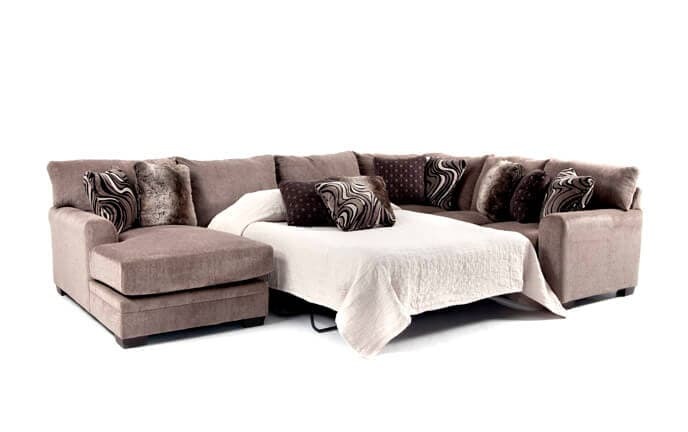 My Ashton 4 Piece Bob-O-Pedic Gel Right Arm Facing Sleeper Sectional is an untouchable value! 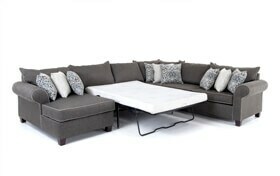 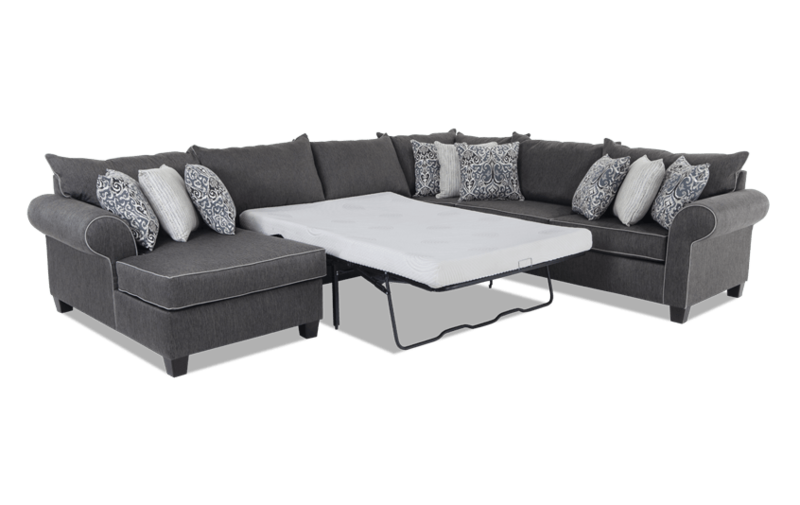 This stylish sectional is especially comfy thanks to my famous Bob-O-Pedic Memory Foam Seating, nine accent pillows and in your choice of fabrics – light gray or charcoal! 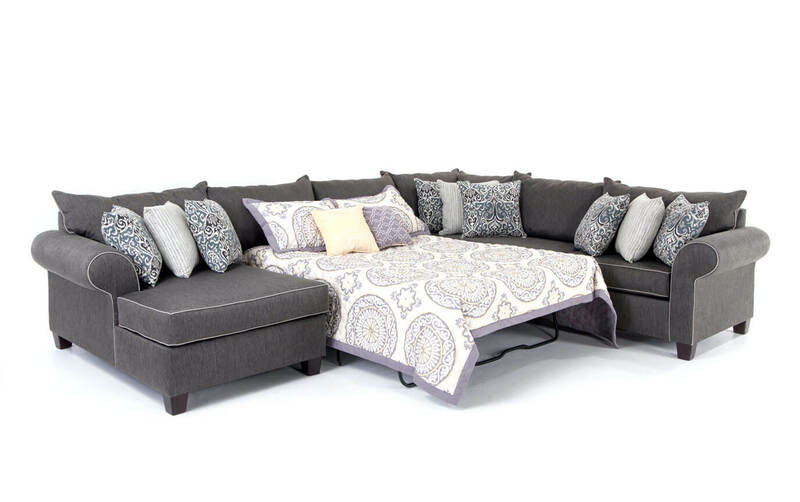 The 4.5" Bob-O-Pedic Gel sleeper mattress included is plush and convenient for overnight guests so you can save on space during the day.Sectional includes right arm facing loveseat, corner sectional, armless sleeper with 4.5' Bob-O-Pedic Gel mattress, and left arm facing chaise.